Fee by donation: You can now pre-register by paying the suggested donation online for Sitting on Sunday; as always you can just drop in and “pay what you can.” Whatever you offer is greatly appreciated and no one is ever turned away for lack of funds. For this event, all donations are shared between the teacher(s) and NYI. If you have questions about your registration (cancellation policy, membership discount, email confirmation, etc. ), please read our FAQs. If your question is not addressed in the FAQs, please email registration@nyimc.org. Jon Aaron has been a teacher at New York insight since 2006. His principal dharma teacher has been Matthew Flickstein of The Forest Way. He trained in Mindfulness Based Stress Reduction at the Center for Mindfulness at the University of Massachusetts Medical Center, and is a certified teacher through the CFM. He has taught over 50 cycles of the seminal curriculum as well as numerous courses for alumni of the program. 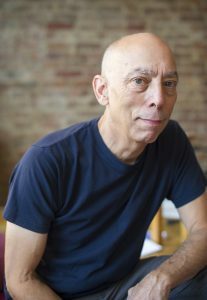 He completed the Integrated Study and Practice Program at the Barre Center for Buddhist Studies and the Foundations in Buddhist Contemplative Care at the New York Zen Center for Contemplative Care. He is the co-guiding teacher of the Makom Meditation Havurah program at the Jewish Community Center. He is a certified Somatic Experience Practitioner and has most recently completed the teacher training in Mindfulness for Pain offered by Breathworks in England.